Eight new players have been drafted into the Chicago Blackhawks' system, and we introduce you to some of them here. 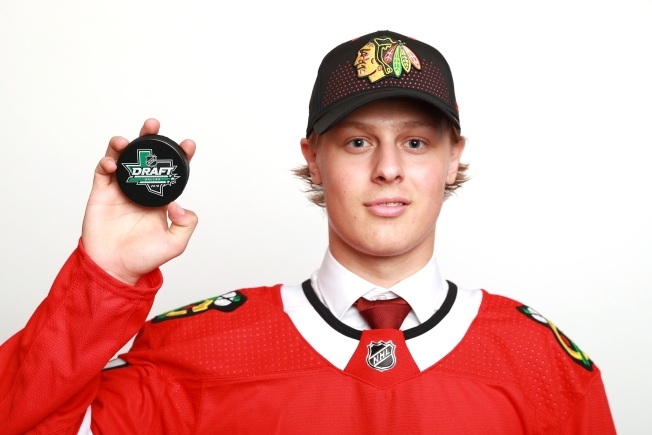 The Chicago Blackhawks have inked one of their first round draft picks to a contract, as Adam Boqvist signed a three-year entry level deal with the team on Sunday. Boqvist, taken with the eighth overall pick in June’s NHL Draft, announced the signing on social media. In 25 games with Brynas of the SuperElit league in Sweden, Boqvist had 14 goals and 10 assists, and was viewed as one of the more intriguing offensive defensemen in this year’s draft class. Concerns about Boqvist’s size have been voiced by some in the hockey world, but there’s no questioning his offensive talent. He is a good puck mover with a quick shot, and he puts plenty of pucks on net, something the Blackhawks desperately need on their blue line.